R. Drews, S. Berger, F.Pattyn: Many ice shelves are intersected by longitudinally elongated channels, which typically range between hundreds of meters to a few kilometers in width. In the channels ice is thinner, and the surface is depressed. The changing surface slope (and possibly a changing snow morphology) causes elongated lineations in satellite imagery, which are a distinguished feature on many ice shelves. They often originate at the grounding-line and extent many tens of kilometers towards the ice-shelf front. 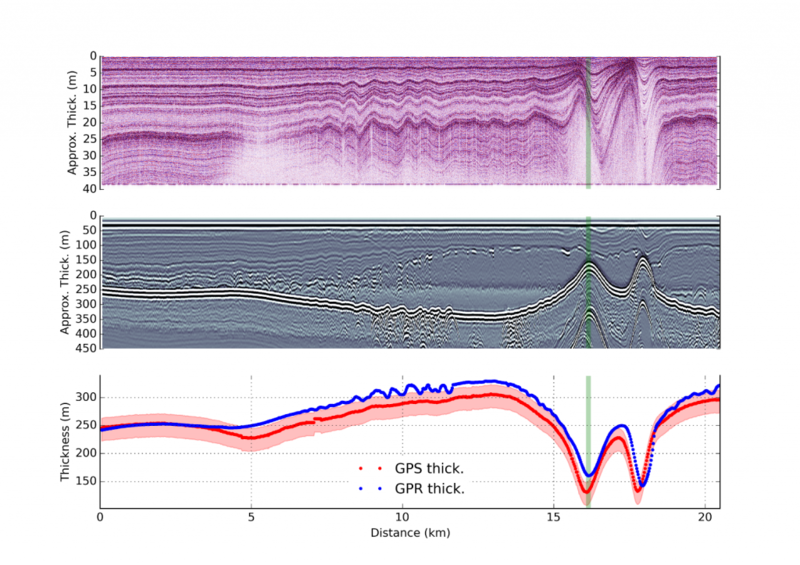 We investigate a network of channels on Roi Baudoin Ice Shelf, Dronning Maud Land, Antarctica. It is possible that these channels significantly alter he basal mass balance and imprint the ice-shelf stability.